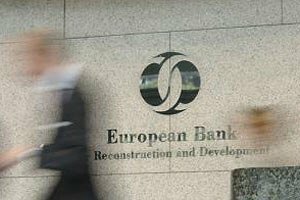 Due to the lack of action by government officials, Ukraine is not using 2bn dollars provided by the European Bank for Reconstruction and Development (EBRD), Prime Minister Volodymyr Groysman says as quoted by Interfax-Ukraine. "Today, I have met with the EBRD president. He says that we have not used $2 billion which were assigned for different projects: energy conservation, water quality and many others," Groysman said on Monday evening on the air of the Freedom of Speech talk show on the ICTV Channel. He noted that it is a long-term loan issued at a low interest rate. According to the prime minister, the application of these funds is hampered due to the inactivity of officials, when they could have been spent on domestic infrastructure projects.